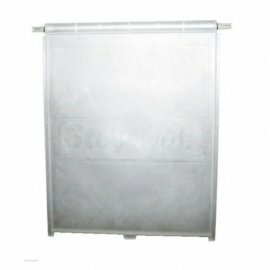 The 700 Series Large Pet Door is supplied with a rigid flap. This is a flexibale rubber alternative flap. The rubber flaps are very tough and will last for years. The flaps are supplied without magnets. Its possible to reuse your existing magnets. The rigid and rubber flaps are supplied un-boxed. The flaps are easy to fit just remove the dog door from its mounting insert the flap and refit the door.